Stevens Strategy studied institutional data and provided a report on salary patterns, tenure and promotion decisions as well as recommendations regarding salary inequities. We also provided a comparison of Georgian Court salaries by rank to quartiles of 18 institutions in the college’s peer group using AAUP salary data for those institutions. With clear direction from the consultant regarding data required from the university and a ready-made format to complete, my work could move forward quickly. If the study did not have an external comparison component for which data was not available until April this project would have been completed in a couple of months. Bob Heiny was very responsive to us and had the core of the faculty salary equity study complete in about six weeks. I appreciate the collegial approach and the willingness to answer questions along the way. It was a very positive experience and a good value. 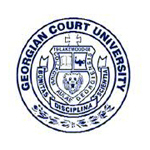 Prior to joining Stevens Strategy, Tom Emmet developed state-of–the-art policy manuals for Georgian Court University with volumes on governance and administration, campus community, general institutional employment, faculty personnel, staff and administrator personnel, academics, and students. Elise and Tom did a great job. They showed knowledge of best practices in higher education. Sometimes there were slight delays in getting materials. I recommended their services to others. It was a great partnership – thanks.